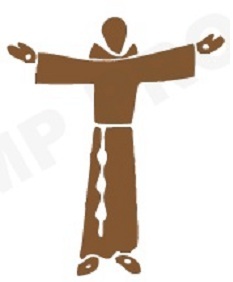 The Brothers and Sisters of the Franciscan Order of the Divine Mercy commit to the General Rule, a modern interpretation of the 1223 Rule of St. Francis. Regular examination of our obedience to Christ is necessary. To be reconcilers we must first be deeply reconciled to God. We practice daily self-examination and regular use of the Sacrament of Reconciliation. Make individual confession at least twice a year. We all need to learn more about God and His will for us. Study of the Scriptures and of Franciscan spirituality is important to our Christian growth. We also encourage our brothers and sisters to continue in Seminary and to take a CPE (Clinical Pastoral Education) class. To be obedient to the decisions of the Bishops, Minister General and our Order. To say the Daily Offices, daily prayer, attendance when possible to all events. We report regularly to our Bishops and Minister General (Spiritual Directors) to talk about our struggles and our vocational lesions. Follow the confessions of the Anglican Church of the Americas. To pledge assistance of financial support to our Order if needed and if in the means of the member to do so. The Franciscan Order of the Divine Mercy follows the creeds and confessions of the Anglican Church of the Americas and it's Churches and invite other Christian faiths to follow an Ecumenical Christian path. Our order is a diverse group with members’ church affiliations including Catholic, Lutheran, Protestant and other denominations, as well as other Anglican communions. We are an order of men and women who are dedicate in following the footsteps of Saint Francis.